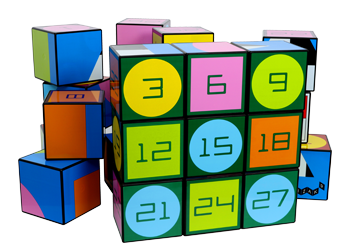 Izak9 cubes are accompanied by an online portfolio of support material containing animated tasks, tiered questioning, lesson planner and support videos. Izak9’s use meets the aims and objectives of your maths curriculum at Primary and early Secondary level. Izak9’s use also complements the teaching and learning ethos of the Maths Mastery programme as well as embodying all the core tenets of a Mindset Change in the teaching and learning of Mathematics. Check out this short video showcasing how the Izak9 support material can help you to bring the aims and objectives of the maths curriculum to life in your classroom. OK, we’ve seen how Izak9 works and the extent of teacher support material available, but is there any proof of this having an impact on pupils’ learning?